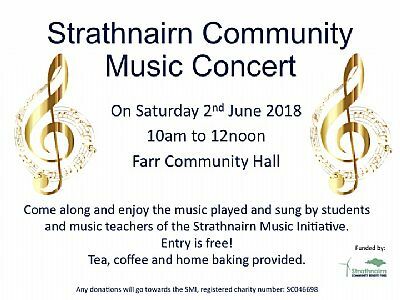 The Strathnairn Music Initiative has a vision to create and embed a local music hub for residents of Strathnairn. This charity run initiative provides the community with musical opportunities where people from across ALL generations, social classes and income brackets are able to meet and play, sing, learn and enjoy music together throughout the year. Information on these sessions can be found on this website. This site also contains links to important documents such as the Strathnairn Music Initiative Handbook including information on trustees, the Charity Constitution, the music facilitators resume, copy of the newsletter articles, trustees meeting minutes, members meeting minutes. The participants of the music initiative will be performing the tunes they have been diligently practising together and individually. It will be a good opportunity to hear community members play and see what the music initiative has to offer. Fran lives on their family farm at Aberarder, with her husband and 3 children. She grew up in Inverness, and went to university in Aberdeen before moving to Strathnairn. Prior to having children, Fran worked for 12 years for LifeScan in the HR team, and is a chartered member of the CIPD. Fran has always enjoyed dancing and listening to music, but never took the opportunity to learn a musical instrument - she is now learning to play the piano through SMI, and all 3 of her children attend the classes. Fran is very keen on the success of SMI continuing, and giving community members of all ages a wonderful reason to come together for a common cause. Marielle has joined the Charity at its incorporation as a trustee and a participant. She has been heavily involved in the development of the charity's activities to date and has served officially as the charity Treasurer. She currently works as a chartered accountant in the private sector. Her involvement with SMI reflects her belief that 'learning a music instrument' and 'making music ' should be accessible and made affordable to All from a very young age. Kristina played trumpet and tuba at school, and has been keen to be involved in the Strathnairn Music Initiative from the outset, seeing the importance of bringing the opportunity to learn and practice music to all members of the community. She has started to learn the fiddle herself, and has a vision to have regular sessions playing in Strathnairn as people become more confident in their playing. She is currently involved in organising the singing group sessions which occur regularly at Farr Hall. 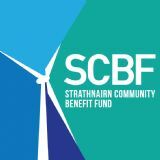 The Strathnairn Music Initiative trustees wish to thank the Strathnairn Community Benefit Fund and Music For All for the generous funding that has allowed the project to go ahead.